This little devil combines flavor, power, and affordability. Its tobaccos are vintage long-fillers from Honduras and Nicaragua. Its Sumatra wrapper is grown in Ecuador, so it has the outstanding combination of rich and earthy flavors with a hint of spice. Packaged in a Cedar Chest of 25. 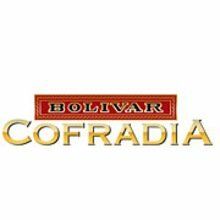 I love the entire Cofradia line below the 50 ring size, rivaling cigars three times the price. Why the change in wrapper? I have enjoyed these cigars for many years now. Recently, however, they seem to have switched to a lighter, thinner wrapper, as opposed to their dark, thick wrapper I've come to enjoy so much. So although for now this is my go to cigar it's become a crap shoot as to which I will receive when I place my monthly order. What's up? This is one of my go to cigars. Never have a problem with these coronas, they always burn even and draw is never an issue either. As much as I like these, I never buy boxes of them for some reason. Usually just grab singles. No idea why. I should buy a box of these right now, but I know I won't. You should though, at least a single if you like full bodied cuban style smokes. Or go for the JR Alternative version if you're cheap and enjoy the almost good enough things life has to offer. After many years (20 at least) of trying many different brands and going to Cigar testing dinners to look for the one that does it for me, I have settled on this Cigar. It is now the only one I smoke, one per day with a glass of red wine every day. When we go to Spain for the winter I have to take 4 boxes with me. That sure cuts into my baggage weight allowance. Good flavor, good burn and draw - construction was off on the caps, a punch worked best but still split or fell apart not too far into the smoke. I would still buy them again. A very good and flavorful smoke. Burns well, nice flavor and great price. Good for the short smoke commitment.